It smells horrible. Tastes even worse. Your friends or family members might have been told to take fish oil by their physician, and like most advice we get from our doctors, we take it blindly and do what they say. Who actually knows what fish oil is? How about how it works in your body and why it is of crucial importance to your health? If you know all of that, I commend you, if not, I recommend you continue reading for some very important information about a supplement I highly recommend. Let’s take a journey into your cells. When the media covers fish oil, it is often associated with Omega-3 fatty acids and their ability to decrease inflammation in your body. True, but that’s just the tip of the iceberg when it comes to the positive effects of fish oil in the human body, decreased inflammation is just the beginning. We’ll start by explaining how fish oil acts in your body and how it can assist in getting you lean and ripped. What researchers found in a study published in Lipids in Health and Disease in 2012 was that increased Omega 3 levels from fish oil supplementation increased the body’s ability to use oxygen to burn excess calories and break down energy stores. In that study published in LHD in 2012, humans that consumed 4 grams of fish oil per day showed decreased serum triglyceride levels by 25-30%. Why is this important? Triglycerides are a type of fat in your blood determined by the amount of calories you consume. When you consume an excess amount of calories, your body taps into these fats as energy in between meals, storing them in fat cells until they are needed. Normal triglyceride levels are below 150 milligrams per deciliter (your doctor can help you determine why your triglyceride levels are). 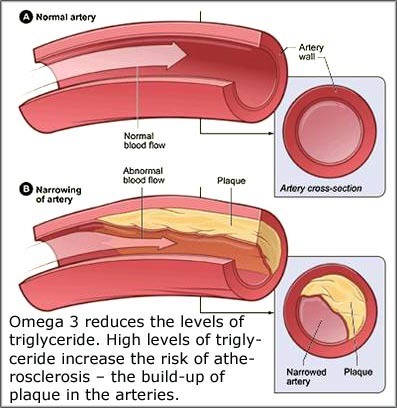 High triglycerides can drastically increase your risk of developing heart disease, fatty liver disease, and diabetes. Most of the time, you can lower your triglycerides with healthy diet and lifestyle changes. You can read up on How to Prevent Diabetes – Actionable Steps to Get Started – Cultural Health Solutions. Look at that! We’re coming full circle–supplementing with fish oil (in combination with a healthy diet) can help you lower your triglyceride levels. PDGF is a protein that helps regulate both cell growth and cell division. It is also crucial in blood vessel formation, angiogenesis. This is when blood vessels are formed utilizing already-existing blood vessel tissue. Uncontrolled angiogenesis is one characteristic of cancer. Bottom line–decrease in PDGF decreases your risk of developing cancerous growths. Sounds good to me. How does no more colds, coughs, or the flu sound? Fish oil has shown to decrease these by the increasing the levels of cytokines and eicosanoids in our bodies. In a study done on pigs, the results were outstanding and the pigs experience increased growth and immune function after ingesting fish meal/oil. Similar findings were found in research done on mice. More studies need to be done on the direct effects on humans, but so far, fish oil’s effect on mammalian immune system function is all positive. Look, the benefits of fish oil are pretty amazing, and this bit of research is just the start. Researchers are constantly coming out with new studies about the amazing effects of fish oil. Point is, obviously consult a physician first, but odds are he/she would agree that you should start supplementing with fish oil.